Copy of clear eye certificates are available on request. Qualified for Crufts for life! Twix did pretty well in his first year in the show ring and qualified for Crufts at his first show, he won 1st in Junior dog at the very first German Spitz Club Championship show, then went on to gain 1st Junior dog at Crufts 2000 and 1st Post Graduate Dog at Crufts 2001 then was crowned a Champion and won Best of Breed at Crufts 2005! 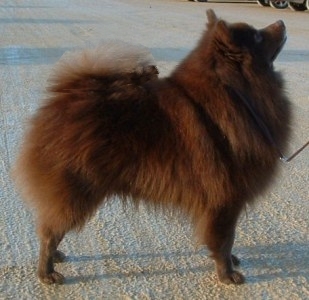 Additional German Spitz sites can be found on my Links Page for more information about this great little breed.